I never expected to be in this situation. The last time I discussed Nordstrom (NYSE:JWN), I did so as one name among several exciting retail plays. But just in a matter of days, Nordstrom stock jumped to double-digit gains. Having closed at a year-high of $65.02, what should investors expect next? I should clarify that I’m not surprised that Nordstrom performed well. Management has implemented significant changes, including directing resources towards lucrative segments such as the discount-centric Nordstrom Rack. In addition, the luxury department store delivered an outstanding earnings beat in the second quarter, driving up the share price. These are factors that should steadily boost the stock. Where I grew concerned was in the magnitude of the jump. Since the beginning of August, Nordstrom has skyrocketed a remarkable 30%. In sharp contrast, chief rival Macy’s (NYSE:M) has lost 4%. Moreover, M shares currently trade pensively. Nordstrom also goes against the grain compared to other department stores. Dillard’s (NYSE:DDS), which also specializes in luxury-oriented goods, has only reached parity since the start of August. I don’t want to bring up JC Penney (NYSE:JCP) because it’s obviously not in the same class. However, shares have dropped an unbelievable 28% over the aforementioned period. The point I’m making is that among the major department stores, only Nordstrom has found any measure of success over the past several weeks. But critics may state that department stores are department stores. Retailers still have plenty to prove. So is there truly something special about Nordstrom that justifies the stock, or should prospective buyers move on? Before we begin, let’s just have an honest conversation: department stores really are just department stores. In terms of physical resources, not much separates Nordstrom from the competition. They all sell the same stuff and hope consumers keep coming back for more. That said, what distinguishes Nordstrom stock is management’s vision and its ability to execute. For instance, I recently mentioned that despite impressive unemployment figures, the labor force participation rate is surprisingly disappointing. However, women workers have mitigated their participation losses better than men. Logically then, retailers should focus attention on up-and-coming female professionals. That’s exactly what Nordstrom has done. Last year, management ditched their previously exclusive focus on unrealistically-thin women, and initiated a more inclusive environment. Now, their company stores feature mannequins of all sizes, and have upgraded their product offerings accordingly. Another area in which the premium retailer excels is in their Nordstrom Rack business. Luxury-centric companies face difficulties when broaching this subject. Of course, selling products on discount drives up both foot-traffic and revenues. But do this too much and it cheapens the brand. Such tactics also teaches the consumer to wait for discounts, thereby stymieing longer-term growth. But Nordstrom Rack is unlike other discount stores. Their product presentation is organized and inventory is well-stocked for all genders. Nothing about the Rack feels cheap; instead, it’s simply an outlet for quality goods at a reduced price. On the other hand, Macy’s Backstage, their version of the Rack, unfortunately gives off cheap vibes. Backstage is an afterthought, where unwanted inventory goes to die a prolonged death. One of the bigger issues is that gender-based offerings are disjointed. I think it’s a missed opportunity, and helps explain whyNordstrom stock beats the competition. All department store executives are led by smart leaders. However, only Nordstrom has brought all the think-tank sessions and conference calls into a cohesive, effective strategy. That’s why Nordstrom trades at a premium, while the competition trades at a discount. At the same time, I think shares have gotten overheated. In prior trades, we’ve witnessed Nordstrom stock catalyze similar spikes, only to come crashing down. Therefore, I wouldn’t chase it at this level. But if Nordstrom stock dips back down, say to its 200 day moving average, I’m interested. Granted, the retail sector is still shaky, but I’m impressed with what management has done. If anything, Nordstrom deserves to be a cut above the rest. 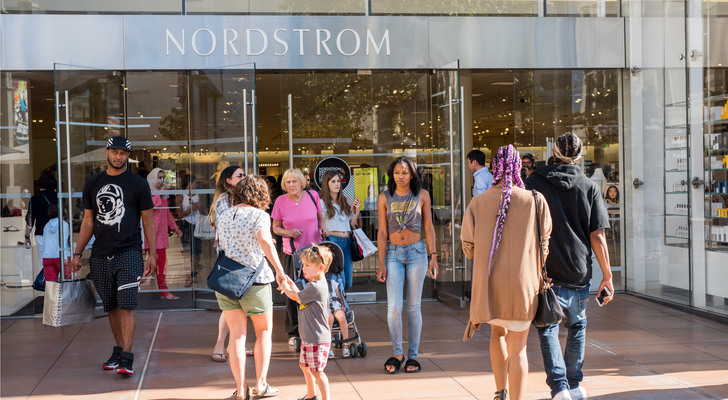 Article printed from InvestorPlace Media, https://investorplace.com/2018/09/success-sets-nordstrom-stock/.